Shenzi is a cosplayer from France who specialises in the kind of characters who will put on some space armour (or at least some fictional armour) then go shoot the place up. 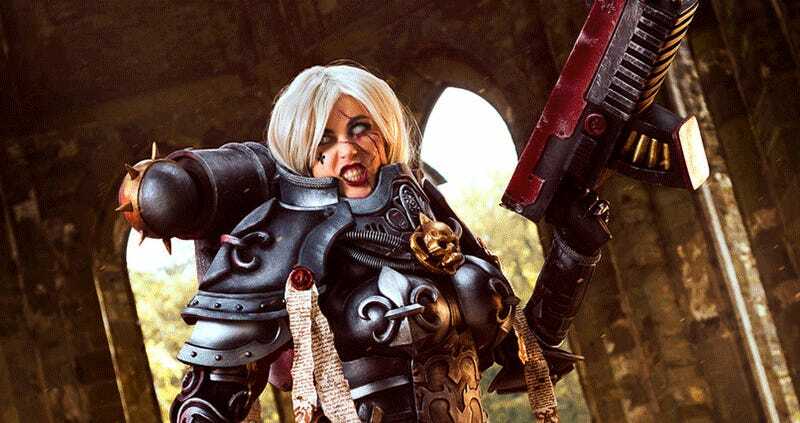 Her Witcher and Mass Effect cosplay is fantastic, but that 40K stuff is from another dimension. Also, a round of applause for any and all Wreck-it-Ralph cosplay, especially when it’s Sgt. Calhoun. You can see more of Shenzi’s cosplay at her Facebook page.